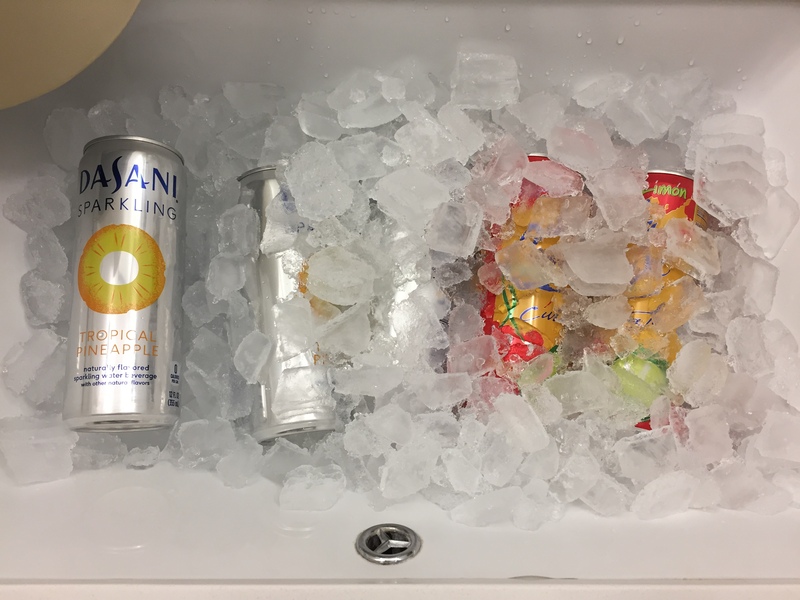 Ok, this is the first week that living in a hotel felt like it was getting old. Putting together a weekly capsule wardrobe, however, still feels fun. 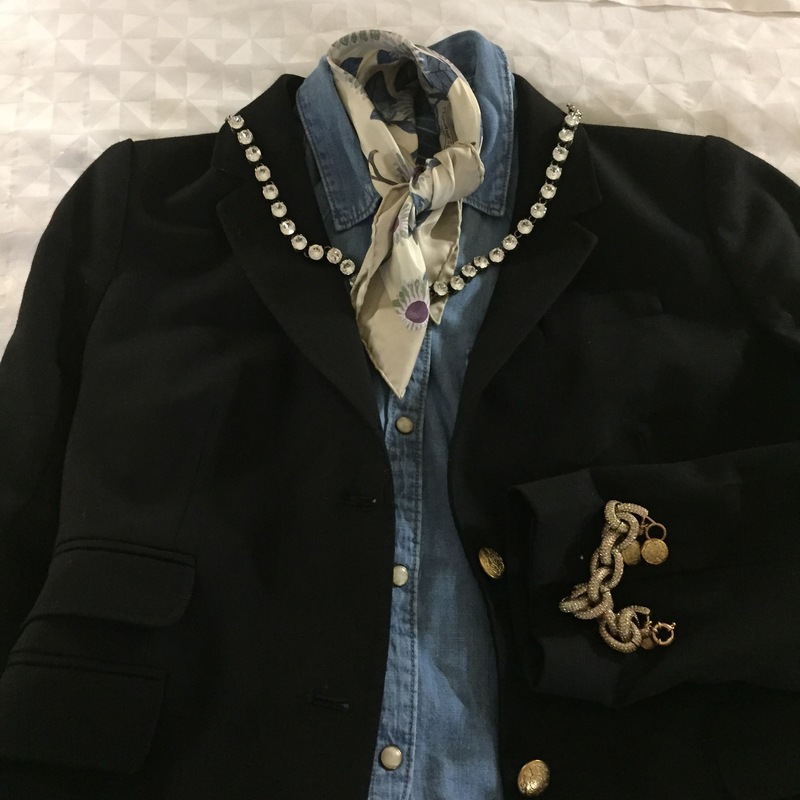 I think I hit the nail on the head this week with versatile pieces that can be mixed to create several work and casual looks. I had to extend my week from Sunday – Friday this week, so I had six days to put these items together. The week’s only halfway over (hello, Hump Day! ), but I thought I’d share the packing list and looks. 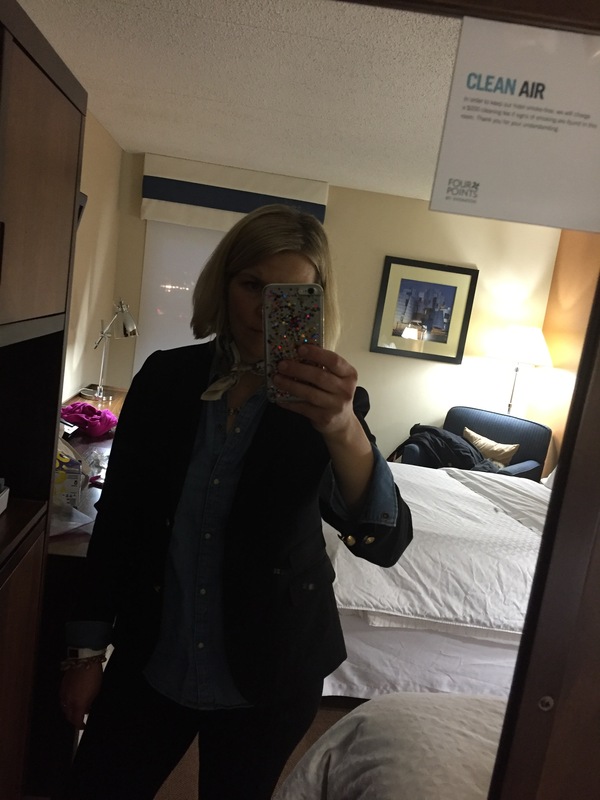 This is the chambray shirt under the blazer, accessorized with a J. Crew bracelet and necklace, plus an Hermes scarf. I wore this with the Pixie pants and Chelsea boots. I really liked this look and may recycle it again later this week. Once I decided that the flat outfit pics were the way to go, I snapped shots of everything else this way. This is another contender for recycling with different accessories. The top outfit was Monday and I will probably use the bottom one with the scarf on Friday. 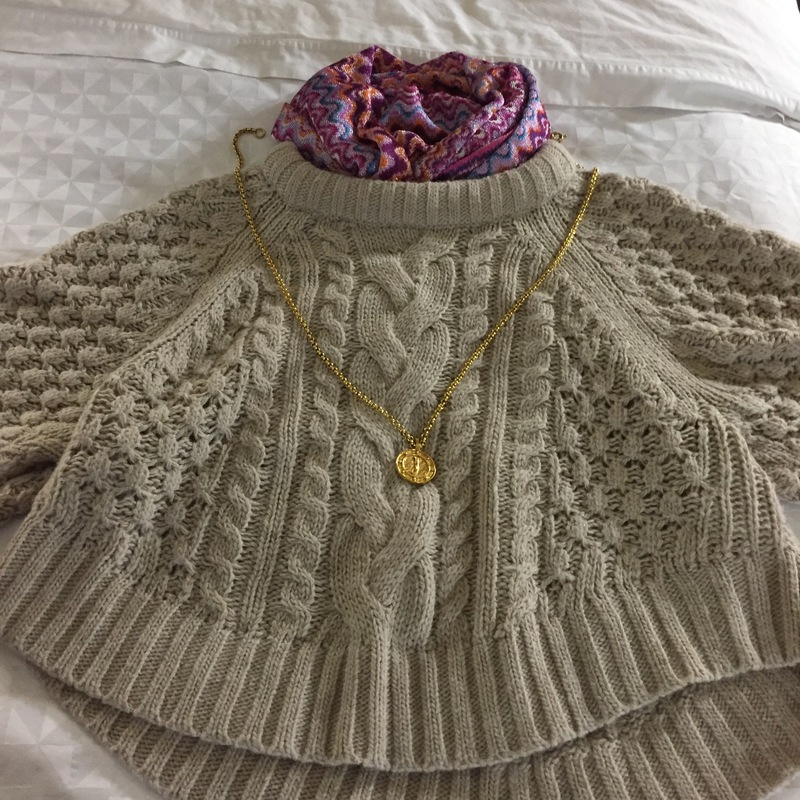 Next is the chunky tan sweater styled two ways. I wore it on Sunday with a long-sleeved tee underneath. I had to work for a few hours and then spent the afternoon shopping. I think I could have made at least three more outfits with these pieces. 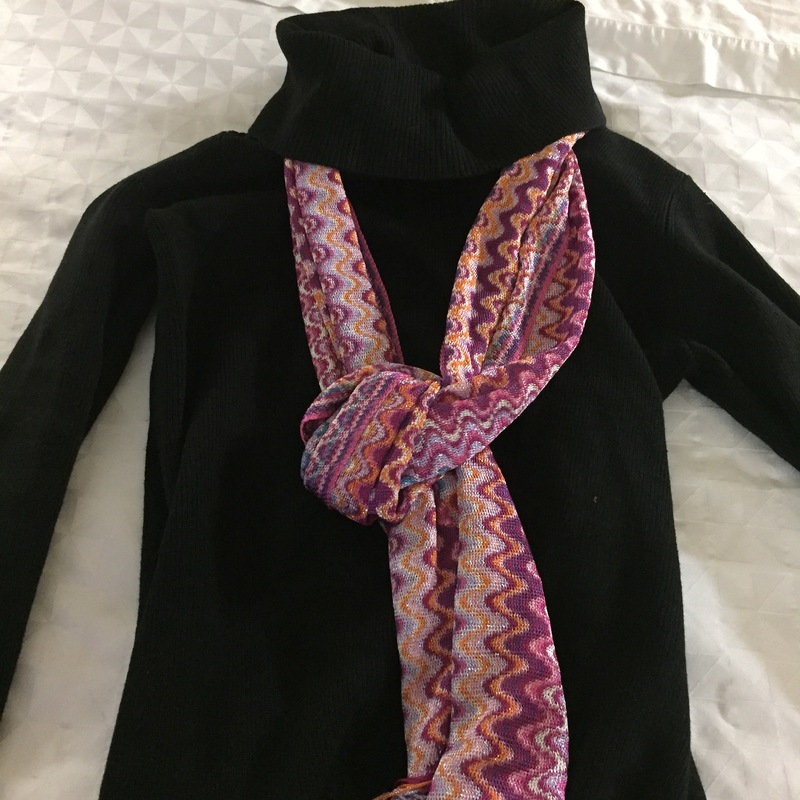 The striped scarf is a silky Missoni that my friend L. sent me for my birthday last week. I almost died with happiness when I opened it up since I’ve wanted a Missoni scarf for ages. L. has phenomenal taste. 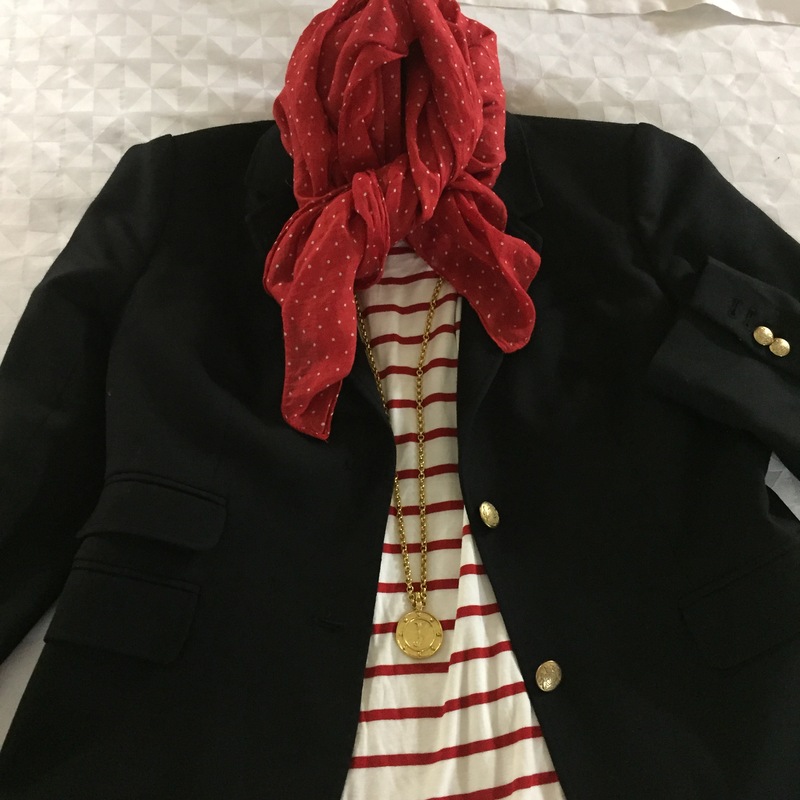 The red scarf is a cotton one with mini polka dots that I bought in Singapore a few years ago. The Hermes twilly was an unexpected gift from an attending when I was a resident, one that I have cherished for more than a decade. 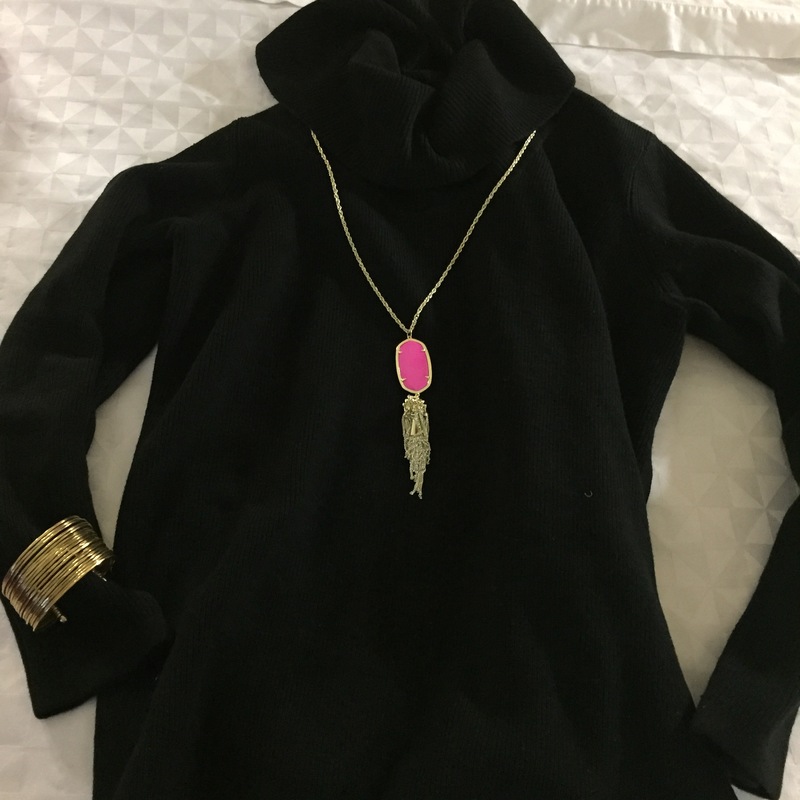 The long necklaces are from Julie Vos and Kendra Scott, and the short sparkly necklace and bracelet are J. Crew. The gold stacked bracelet is also from a recent Stitch Fix. There you have it, at least a week’s worth of outfits with only a few well-selected pieces. Lately I’ve been in one of my moods where I’m fed up with the excessive amounts of extraneous stuff we (ok, I’m mostly just referring to myself, so I) own. This usually prompts some massive re-organization or sorting project, filling trash bags in disgust, along with a fervent vow to Keep It Simple going forward. Last weekend I was sick of looking at my jumbled mess of t-shirts and tanks stuffed into the shelves of my closet, so I dumped them into a pile on the floor. As I sorted the long sleeved, short sleeved, plain white, striped, and printed shirts into separate areas, I realized that I was still going to fall way short of having enough room to neatly stack them all. 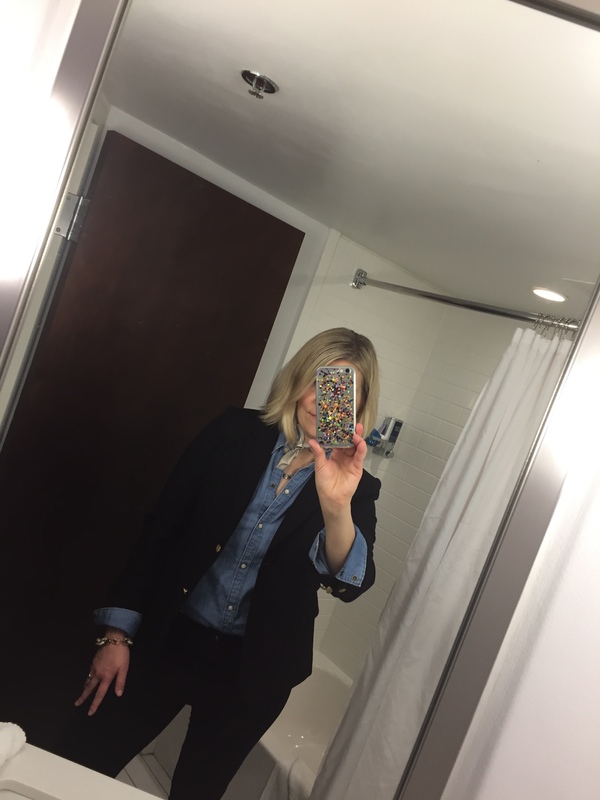 I decided to try an experiment: pare down the stacks into the things I wore the most, creating a seasonal capsule wardrobe, a la the now-defunct but still excellent blog, Unfancy. I kept out a few tanks (top shelf, left and middle piles) in blue, pink, pink striped, black (2), gray, and white (2). Upper right are two sweatshirts (an orange one from Sundry and a light green one from Athleta). 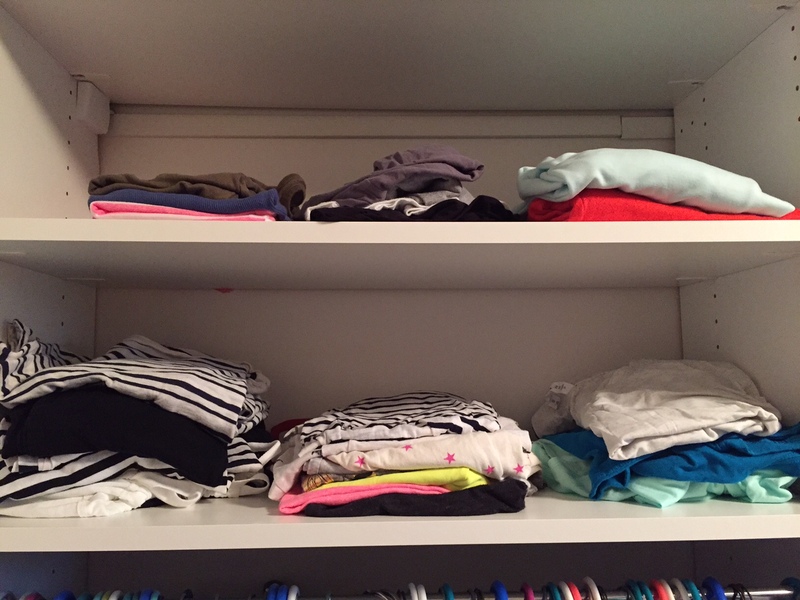 Bottom shelf has long sleeved shirts (left) in striped (I kept three, two from Splendid and one from Target), plus a Gap Perfect Fit 3/4 sleeve V neck in black and another Splendid long sleeve in white. Middle pile is a short sleeved Splendid stripe tee (I really, really love Splendid), a white one with pink stars, plus neon pink and yellow short sleeves as well as a gray J. Crew V neck. Final pile is a shirt I got from running a charity 5k race last month supporting the City of Joy, a Fabletics short sleeved hoodie and a Lululemon top I am embarrassed to say I have never worn (I forgot I bought it. Argh). According to the principles of making a capsule wardrobe, I probably still kept out too much. 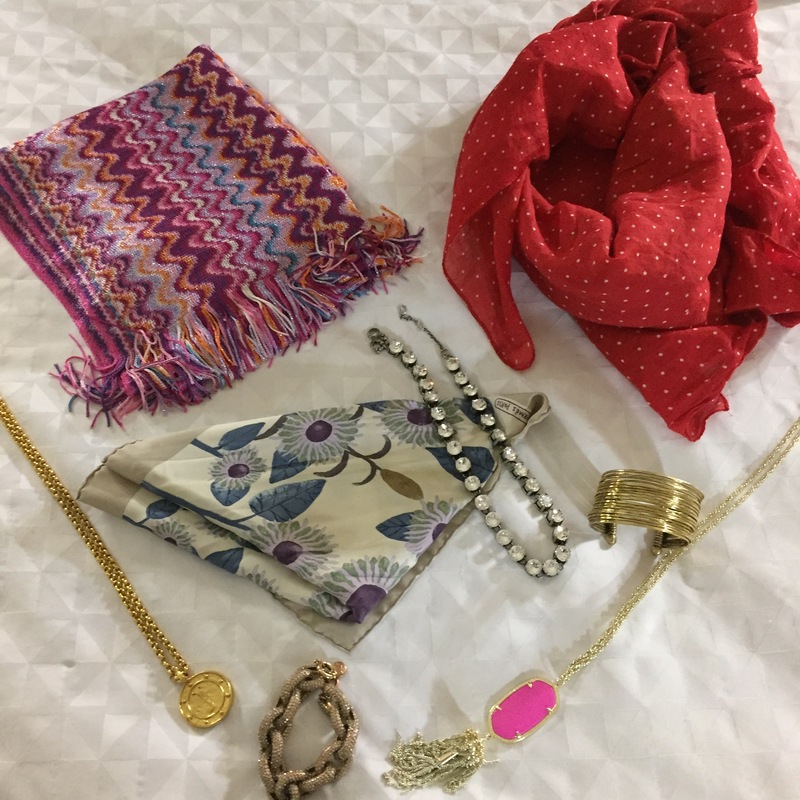 (To be fair, there are also a few pieces that were in the laundry at the time I was sorting and I didn’t even bother to pack them away once they were clean). 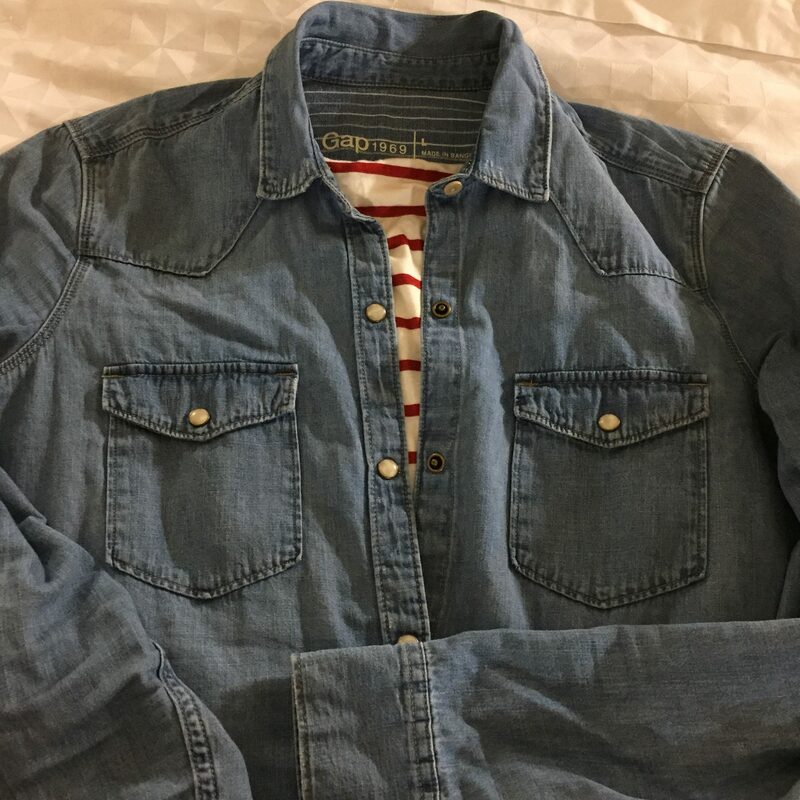 But here’s the thing with casual shirts like this: they have a shelf life. Even the nicest white tee starts to look ratty after a season or two. Yet despite this knowledge, I have a hard time tossing anything out, including things that are way past their prime. (Sriracha-stained palm-tree print shirt, I’m looking at YOU). So while I packed away everything else, I was still too chicken to toss it (yet). However, my big goal is to ruthlessly edit if I get to the end of the summer without feeling like I’m missing out. I really dig the concept of Un-Fancy, a self-described minimalist fashion blog. So, to be clear, this is basically the opposite of my exploding closet. 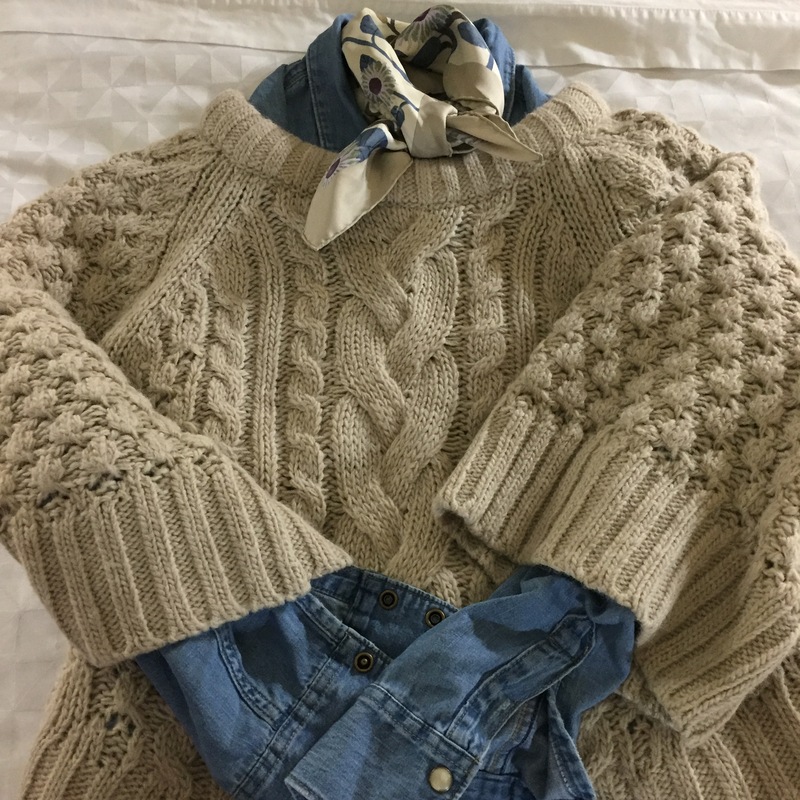 Caroline, the blogger behind Un-Fancy, advocates for a 37 piece wardrobe (15 tops, 9 bottoms, 9 pairs of shoes, 2 jackets and 2 dresses), with some substitutions in or out every season. Interested? 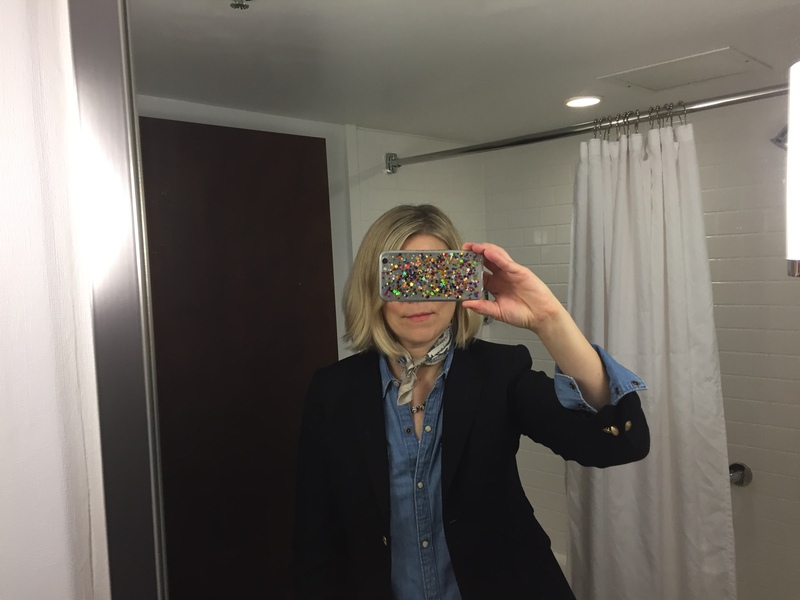 Check out her advice for building your own capsule wardrobe. The only bummer? The day I stumbled on Un-Fancy, the site said that the blog was going on hiatus for several months, but even the archive is new to me.